1965 Ferrari 275 GTB Alloy by Scaglietti on Auction | Car News, Reviews, & Pricing for New & Used Cars. 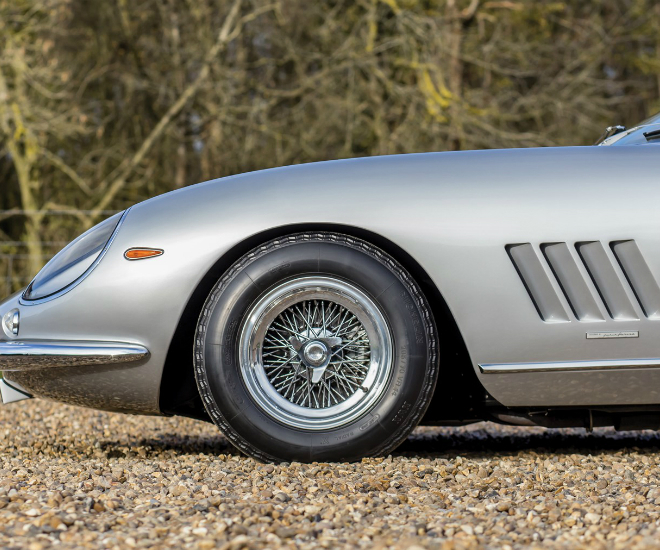 With fewer than 60 road examples built, this 1965 Ferrari 275 GTB Alloy by Scaglietti will be offered at auction in Paris on February 7, 2018 between €2,400,000 and €2,800,000. 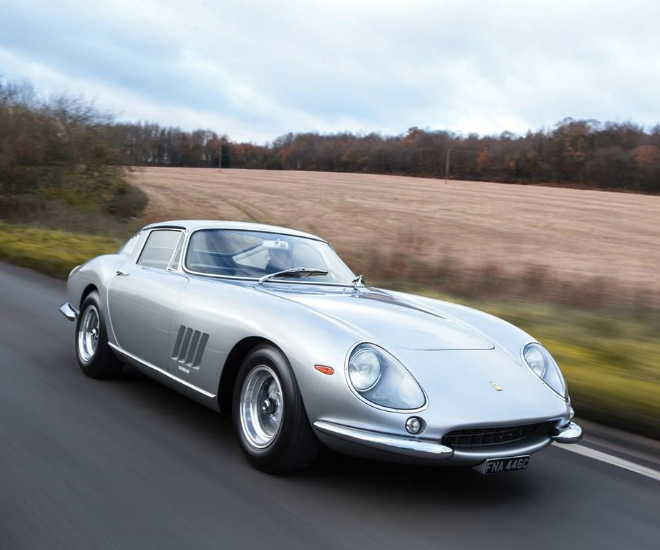 Built in 1965 by Ferrari, the car features a desirable long-nose, alloy-bodywork 275 GTB with a perfect weight balance, triple Weber carburetors and completed with a chassis no. 08069, complemented by an Argento Metallizatto (106-E-1) finishes in its interior. According to Ferrari historian Marcel Massini, this 275 GTB had been through the hands of two owners, of which the first had the Alloy 275 delivered to him through Ferrari’s official distributor in Milan before he sold it to the second Italian owner before the 1970s. After that, the car was exported to the US and was acquired by an American owner. Listed for sale in the July 1974 issue of Road & Track magazine; the advertisement noted that the car was still wearing its original silver, with only 31,000 km on the odometer. According to the auction house, the advertisement captured the attention of another car enthusiast in Ohio, who bought it for $6,700 and it remained with him for the following four decades. Whilst in his custody, the 275 GTB was well preserved and had received a repaint in red just once by Joe Piscazzi of Akron, Ohio, in the 1970s. In addition, the car had been driven only on big occasions, such as the Ferrari Club of America’s annual meet at Watkins Glen in 1990 and the Meadow Brook Concours d’Elegance in Michigan. Upon its return to Europe in 2014, this 275 GTB was restored by the marque experts at GTO Engineering and returned to its original colour. What’s more, buyers of this car will receive the invoices and receipts documenting the restoration along with Ferrari Classiche Certification to prove the car was found to be corrosion-free with minimal metalwork required. Please visit the official site of RM Sotheby’s for more details here. Next articleWhere is the Freon going?